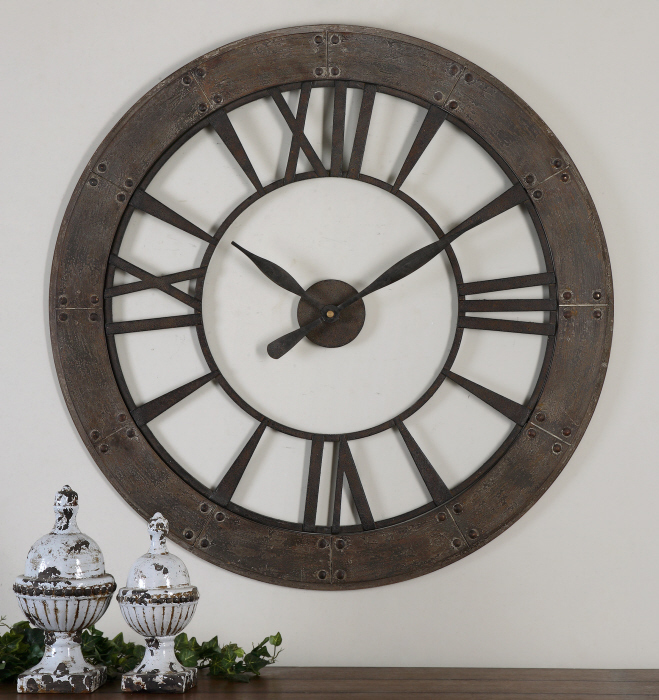 The Ronan 40" wall clock is also available in 60" from Uttermost by designer Steve Kowalski. accented with a rust gray frame. a Quartz movement that requires batteries.